Some people use natural amino acids and cosmetics to fight the onset of aging and others use botox. Words ending in ‘-tox’ should be familiar to us, as they inform us that the substance is a toxin and is therefore toxic. It was used in medicine over twenty years ago, but it is mainly owing to its use as an apparent anti-aging miracle that botulinum toxin became known in the press. Wrinkle free perhaps, but at what price? The countries which have used botox in cosmetics the longest are Brazil and the USA. Lips and the face can be injected to provide a wrinkle-free appearance. The negative side is that you have to get used to the fact that your face can look rather mask-like, as botox paralyses the muscles being injected. Botox mania has spread to Hollywood actresses so much so that some directors are refusing to work with botox-injected women. The main reason for this is that they no longer have much facial expression and when they do, it is certainly not natural looking. The skin becomes reddened and tense, the eyes stretched wide apart and the face looks rigid and stiff. A s botox is actually a poison, is somehow doesn’t seem right to call it a cosmetic miracle. The bacterial neurotoxin was initially successful for treating deviated or ‘crossed’ eyes, muscle spasms, tension headaches or torticollis (wryneck). It could get rid of cramp and eased the pain from it. Nevertheless, it was still referred to as a poisonous substance and botulinum was used to treat food poisoning. The first known description of the substance was written two hundred years ago by the doctor Justinus Kerner. He recorded in a most detailed way how being poisoned by botulinim toxins could lead to possible paralysis and even death. The term ‘botulism’ refers to particular signs of poisoning which can be directly connected to botulinum toxin. When the toxin hits the heart and airways, the person affected has hardly any chance of survival. As mentioned above, botox is a highly-poisonous substance. If you had just two kilos of it, it would be enough to wipe out the entire human race! In very small doses, it does however become a wrinkle remedy. In short, it prevents a particular substance from the nerve fibres from being released. Injecting botox directly in the muscle blocks the acetylcholine and prevents the lamed muscles from joining together. On the one hand it is possible to treat chronic muscle spasms and relieve tension and on the other hand the wrinkles in the injected area disappear for a time. This is why the injections usually target typical wrinkle lines to prevent the muscle from forming wrinkles. At the same time blood circulation in the injected area is better than before. It isn’t yet possible to prove whether the effects of botox really are three to six months as claimed. The fact that injecting individual muscles does not have an effect on the body as a whole has led to it being used without too much criticism. Botox is no longer only used to combat wrinkles or to to fill thin lips. It seems that we currently find ourselves in an experimental time whereby botox is seen as the saviour for all. It is interesting to note that botox is becoming a treatment in chronic tension headaches and migraines and other illnesses. Perhaps the world is becoming rather too complacent and forgetting that we are dealing with poison. If botox is injected in the wrong place or if the dosage is too high, permanent paralysis can be the result. If the doctor is inexperienced, there is also the danger that other muscles near the injected area can be affected. The main question still exists as to whether a toxic anti-aging product should be publicised, when one considers how many natural alternatives. The unfortunate fact is of course that there is no miracle cure for the aging process, even when so many products and treatments claim the contrary. We have to just simply accept that we age and we can only have a small amount of leeway to control how quickly and to what extent we age. Despite our genetic make-up, we are able to influence the speed and extent of the formation of wrinkles. The easiest way is through life-long healthy eating, with food containing all the vitamins, minerals, amino acids and anti oxidants the body needs to nourish the skin. It may appear that botox has lost its negative image, after many famous people have used or use it, but the question is whether the substance is in fact useful. Botox has even been compared to aspirin, for being able to act as a miracle cure for everything under the sun. The toxin is actually prescribed for twenty different types of treatment in various countries. For example restless legs syndrome, twitching eyelids, painful glottal problems or writer’s cramp. It is nevertheless under constant debate among experts as to whether such a strong poison really should be in the hands of so many people. 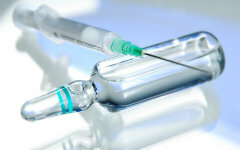 There are of course pros and cons, although some authorities and institutions released warnings about the use of botox. The European medical authorities have made more than 600 reports available which raise suspicion about the side effects and fatalities linked to botox. It’s of course up to you whether you listen to the warnings or not.